Casa Rosalia is a nice place in the center of the city. Casa Rosalía was established by Spanish immigrants in Mexico City's Historic Centre in 1937. It has always distinguished itself for offering the highest quality in food preparation, specially regarding Spanish food, while also introducing local elements. 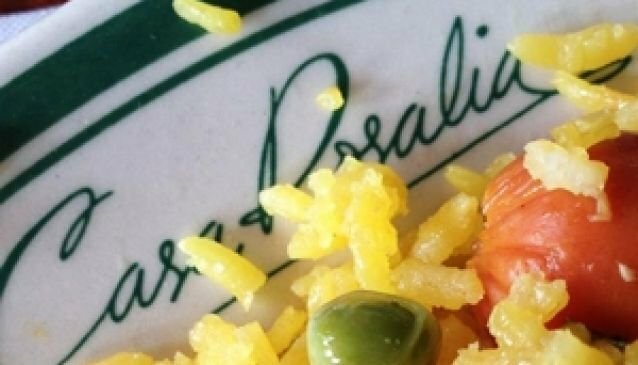 The paella is without a doubt Casa Rosalía's specialty: generation after generation for over 70 years, millons of mexicans have tasted the best paella in Mexico at Rosalía -- a tradition that is still alive today. It is no wonder that Restaurant Casa Rosalía is known as 'The Home of Paella in Mexico'.